'Pain and Glory' narrates a series of reunions, some physical and others remembered after decades, of a film director in its decline. The first loves, the second loves, the mother, the mortality, an actor with whom the director used to work, the sixties, the eighties, the present and the emptiness, the immeasurable emptiness before the impossibility of continuing the filming. It speaks of the creation, cinematographic and theatrical, and of the difficulty of separating the creation from one's own life. The director Pedro Almodóvar works again with some of their fetish actors: Penélope Cruz, Antonio Banderas, Cecilia Roth or Raúl Arévalo, among others. Write your own 'Pain and glory' review. 'Pain And Glory' is the eighth collaboration between Pedro Almodóvar and Antonio Banderas and the the sixth with Penélope Cruz. 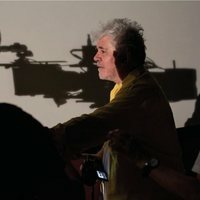 Almodóvar has worked with Banderas in 'Laberinto de pasiones' (1982), 'Matador' (1985), 'La ley del deseo' (1986), 'Mujeres al borde de un ataque de nervios' (1988), 'Átame' (1990), 'La piel que habito' (2011) y 'Los amantes pasajeros' (2013). His films with Penélope Cruz are 'Carne Trémula' (1997), 'Todo sobre mi madre' (1999), 'Volver' (2006), 'Los abrazos rotos' (2009) y 'Los amantes pasajeros' (2013). The first reactions from the critics have been very warming, even predicting Antonio Banderas to be next winner at GOYA 2020. Julieta Serrano's first collaboration with Pedro Almodóvar in almost thirty years. They had previously worked together on many of his 1980s films: Pepi, Luci, Bom y otras chicas del montón (1980), Entre tinieblas (1983), Matador (1986), ¡Átame! (1989) and, most famously, Mujeres al borde de un ataque de "nervios" (1988).